McLeodGaming - View topic - 30 fps. Is there NO way at all this will ever run at 60+ fps? i can definitely relate, but this is flash we're talkin' here, bud. i know you're aware of this, but as far as i know, 60fps isn't possible without having to change a lot of code to edit how many frames it takes for a fighter's attack/animation to start/go out. 60 fps would require literally every animation in the game to get double the amount of animation sprites, every single move/animation being recoded to fit the new frame rate and probably a bunch of other stuff Im missing too. Not gonna happen unless Cleod9 himself puts all the spriters in his little working jail cell for the next few years and decides to stop caring about the filesize/a scheduled release within this decade. nope, to have 60 fps, they don't need to double the amount of sprites in animations, rather, they would have to double values in every variable, like horizontal_speed, jump_height, gravity, frame_length, change some code and a lot of that kind of staff, but not add new frames(sprites) to animations. Last edited by Darlock on Sat Oct 20, 2018 3:03 pm, edited 1 time in total. I don't mind SSF being on 30fps. They're not a big team and they would have to do a lot of work for the game to be in 60fps. How does doubling every stat in the game does anything related to frame data again? Going by that characters would be twice as fast, jump twice as high etc. That doesnt do anything regarding the framerate. 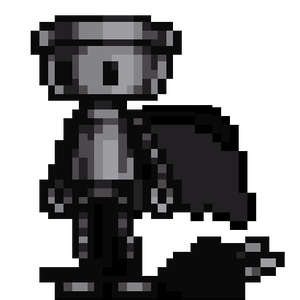 sorry not double the stats like speed and jump, rather divide them by 2, and double sprite length. i made an example here watch in 720p. set video speed to 0.25 if you want or pause the video and use those keys to move on the next frame "<" = left ">" right. to make 60fps they don't need to create new sprites rather they would double every sprite's lenght.